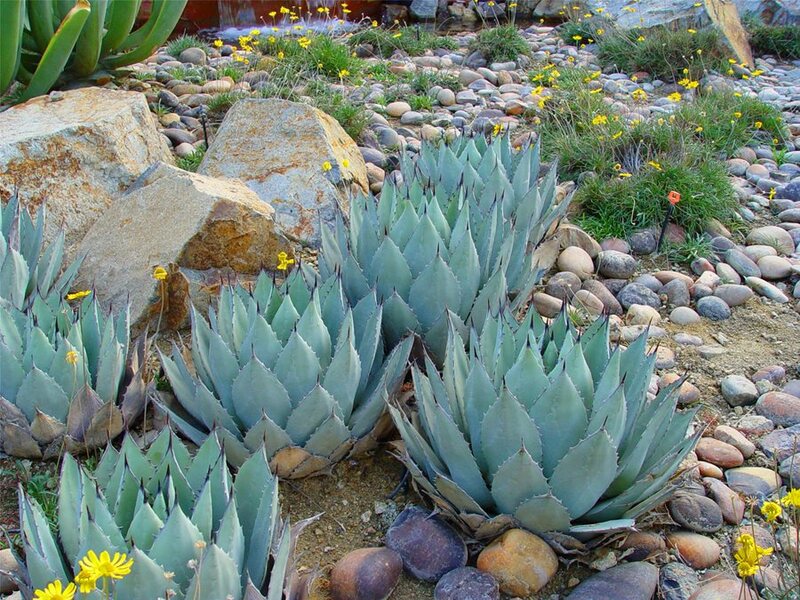 These agaves stand in striking contrast to this group of boulders due to the differences in color that create a dynamic composition. This large boulder stands on its own, buried to give its base the mass needed for perfect balance. 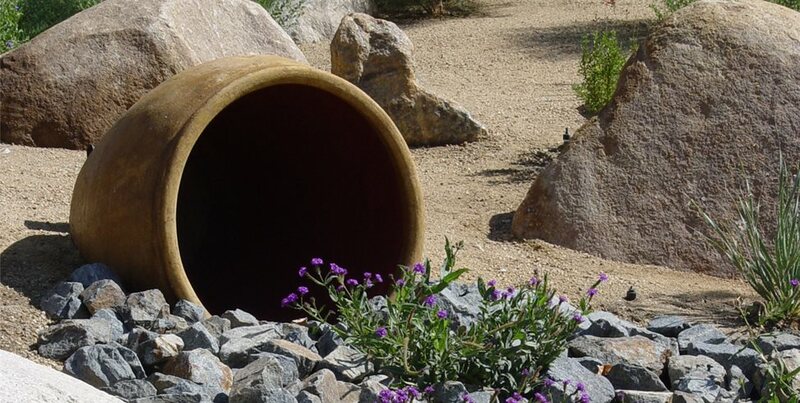 This hollow, artificial stone may not fool you up close, but it can make a fine alternative to real boulders in areas that are lacking in local quarries. 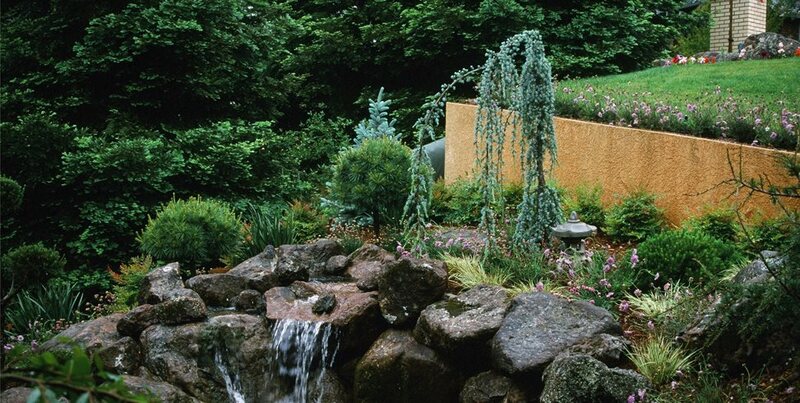 For some, a single immense monolith is desired to add interest to secondary planting spaces with no particular focal point. These iron stained moss rocks brought to the site are visually coordinated with existing rubble and soils to appear as though they've been there a long time. 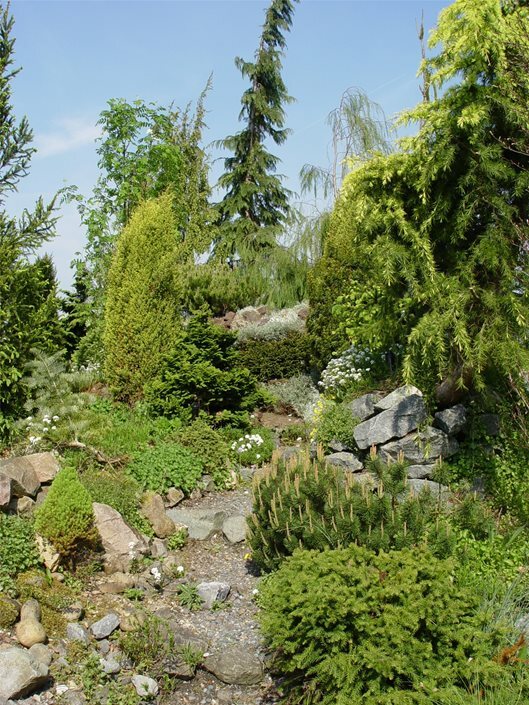 This recreation of alpine conditions unifies boulders and rocks with small evergreens as they would at high elevations. 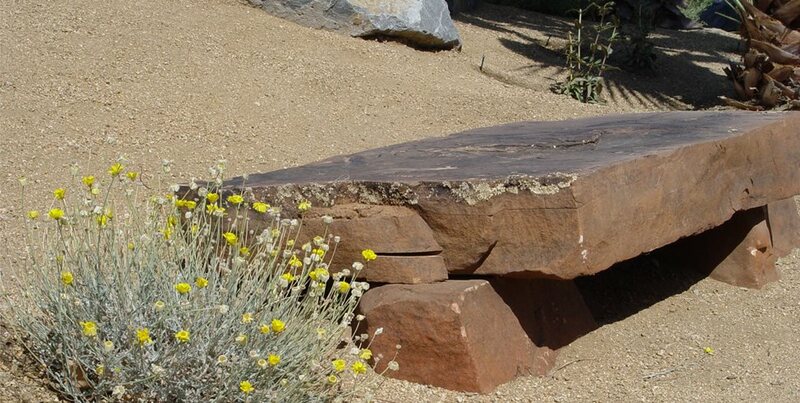 Heavy stone that doubles as seating helps offset the initial cost of transportation and placement. 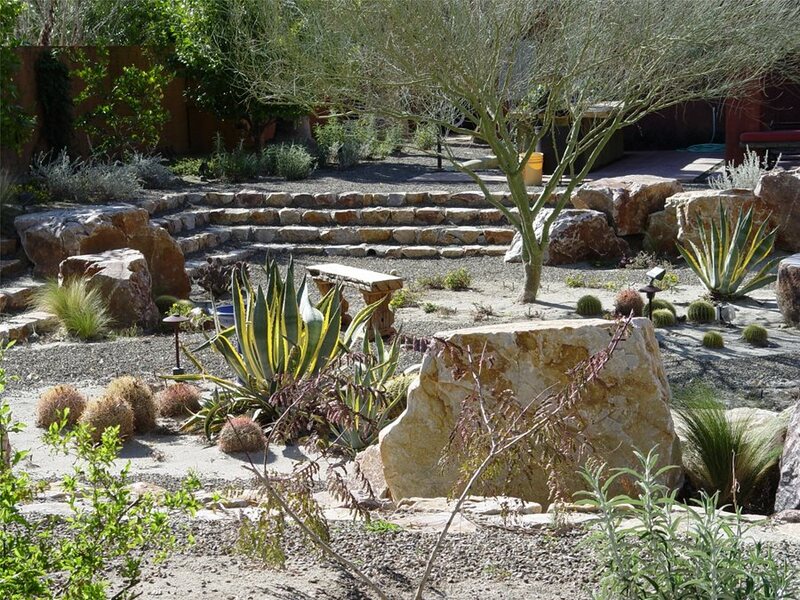 This landscape includes carefully selected flat top boulders to double as seating and tables while entertaining. 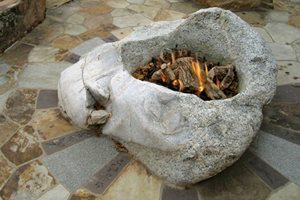 One of the most common ways of unifying boulders is to create a steam bed-like "flow" of smaller stone. 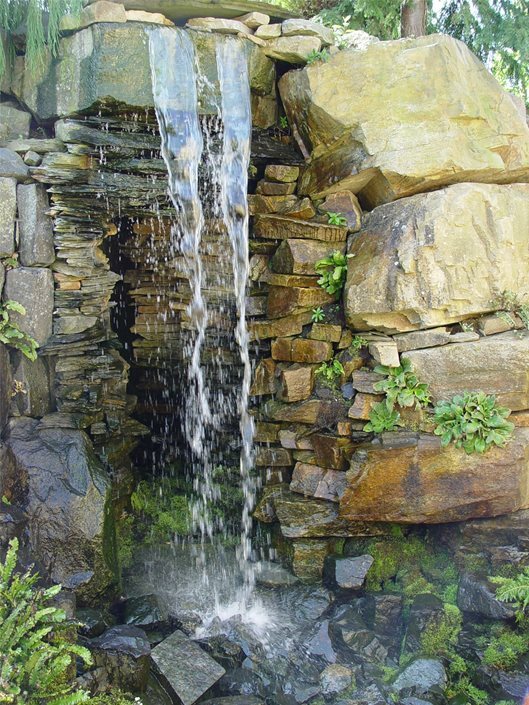 This grotto was created without visible masonry, but where such fine work is impossible, plants are the problem solving cover ups for footings and mortar. Factor 1: Does it fit in? 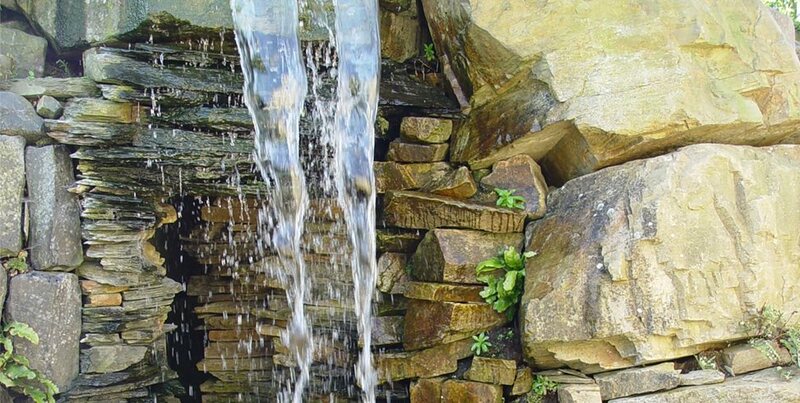 There are hundreds of different types of stone in America and as many types of building materials. 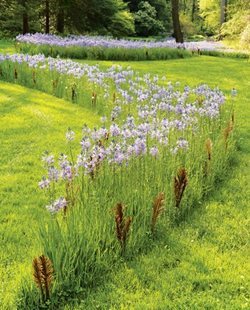 The right choice must work properly with both the details of your house and your landscape. 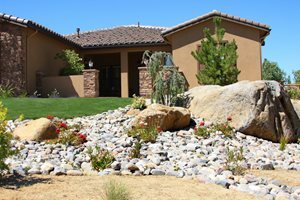 The most commonly found boulders for landscaping come from water courses which makes them rounded, grey and offer little detailed interest. In comparison, an iron stained boulder with patches of lichens and moss colonies suggest it's been in the new location a long time. 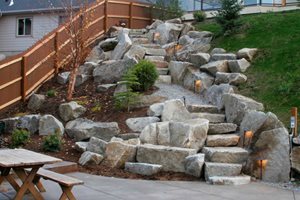 Where rock or masonry is used for on-site construction, try to maintain the same local look and feel with imported boulders in order to present a more cohesive design. 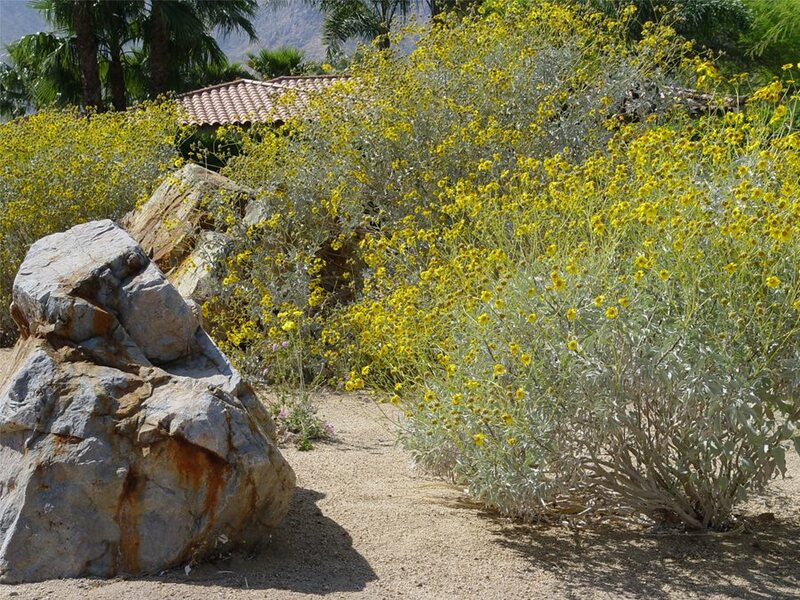 See examples of boulders being used in landscapes across the country and get ideas for landscaping with boulders in your own yard or garden. Rocks are incredibly heavy. 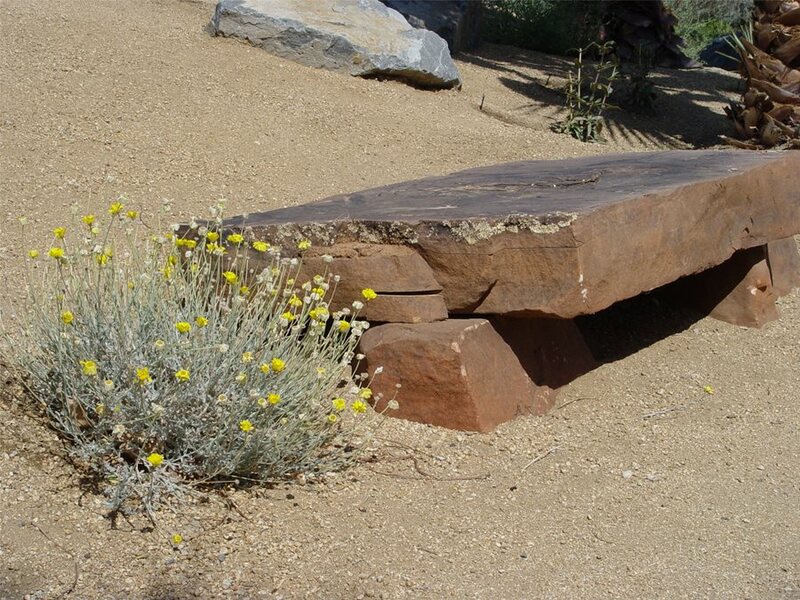 The cost is not for the rock itself, but for hauling it from the source to the new homesite. Obviously a local source will be far less expensive compared to long distance hauling which makes this low cost product exorbitant to buy. Small rock delivery companies in your area also maintain the equipment and experience to move and set your boulders too, which can save even more money. The scale of the immediate space, and that of the site overall contribute to the proper sized boulder for the job. This is where a professional's field experience really comes in handy. 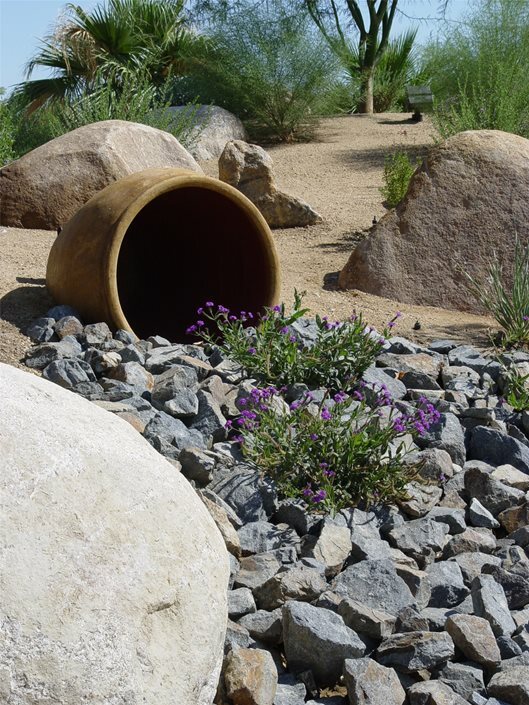 The most common error is using undersized boulders because the weight of larger ones makes them expensive to deliver and place. This is false economy. In the long run, if the scale is wrong, the rock fails to show your designer's efforts to their best advantage. 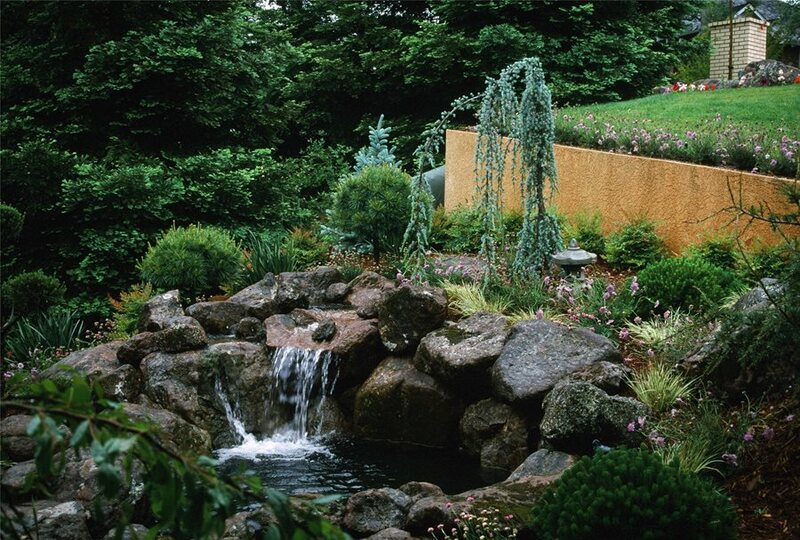 Where large boulders aren't possible use a multitude of modestly sized ones that can be arranged in a creative way. 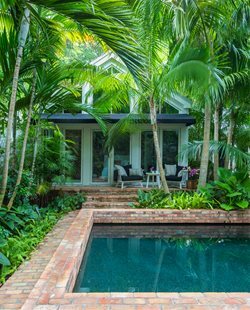 Swimming pool contractors who build rock waterfalls know better than anyone what it takes to move boulders into the backyard of an existing home They're aware of the experimentation required to reposition boulders for the perfect look, and that takes manpower. 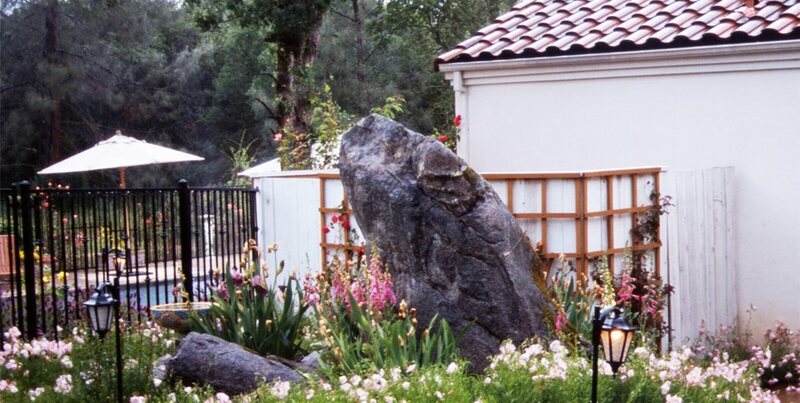 The weight of boulders is always underestimated by the homeowner, and sometimes by inexperienced designers too. It's enough to cause serious cost overruns. There's also a risk to paving, vehicles and structures if these heavy objects are not handled safely. 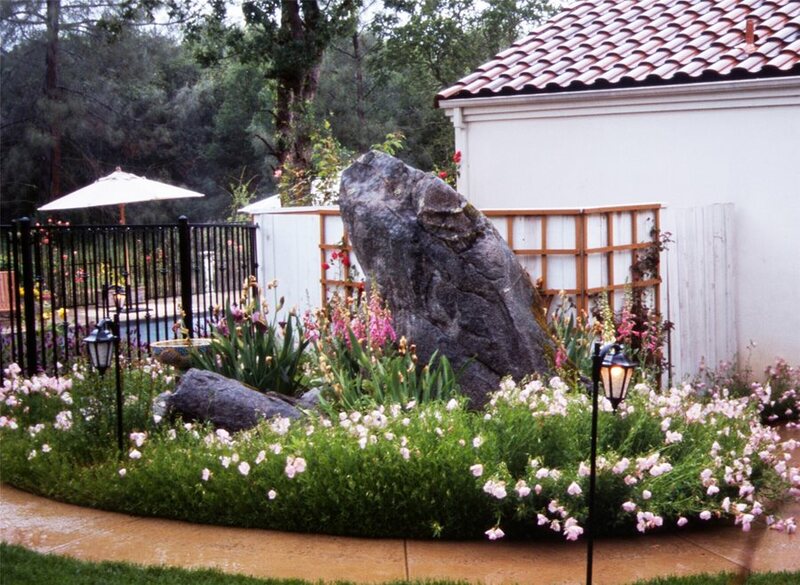 For this reason make sure your contractor is highly experienced and well insured for this kind of large rock work before turning over the project to her. 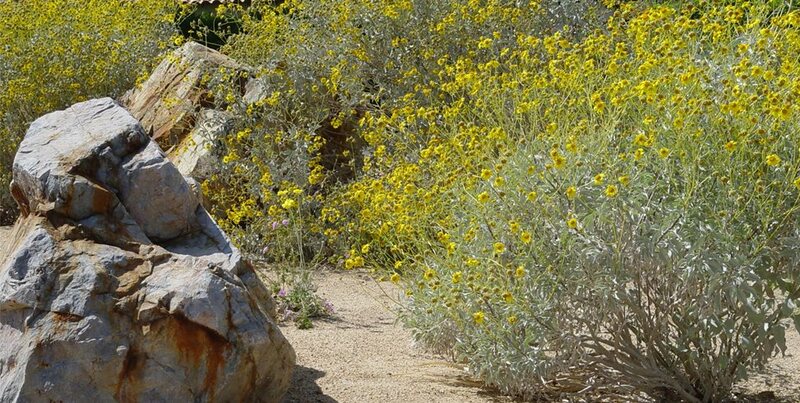 It is rare to find just one boulder all by itself in nature. They tend to exist in groups of varying shapes and sizes linked by the same parent material. 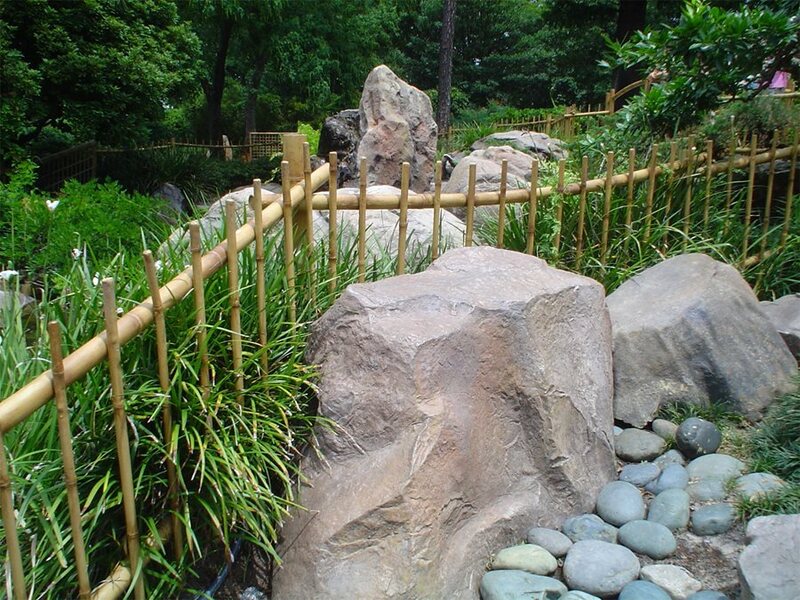 This is where the rules of the Japanese garden come into play to help your contractor create successful constellations of boulders that resemble natural rock outcroppings. A boulder worked into a group of smaller sized "helping stones" always results in a more beautiful composition. 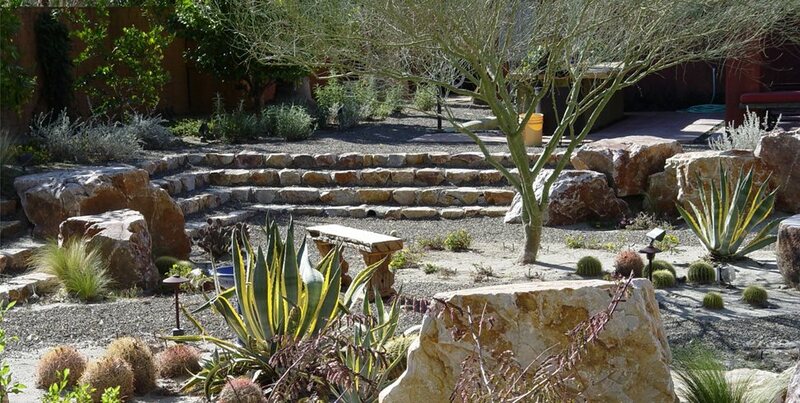 The way boulders and their helping stones are arranged can create ideal planting opportunities just as they occur in nature. 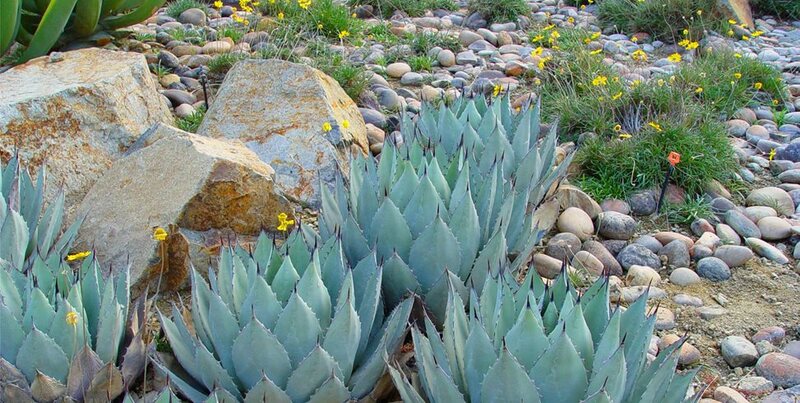 Plants grow at the edges of boulders for protection from the elements and to access moisture sequestered beneath the stone in dry seasons. 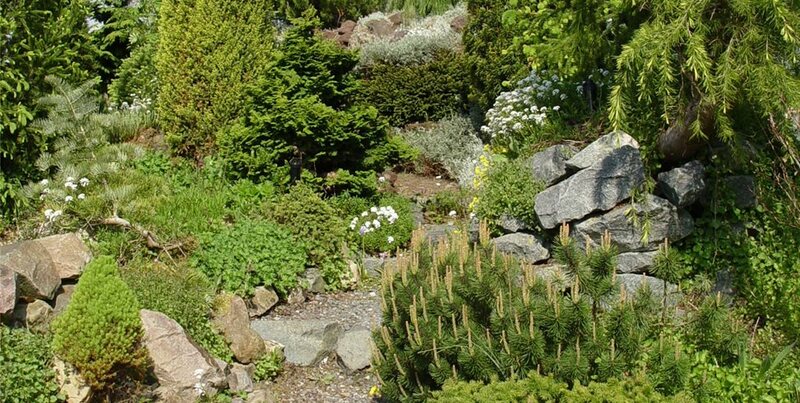 This is an ideal opportunity to integrate long lived perennials or to add a specimen shrub such as twisted Harry Lauder's walking stick to visually anchor your stone. 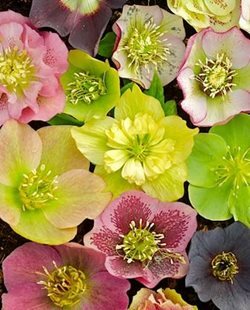 While rock is the universal element world wide, it is the plants your designer uses that projects the style you desire. 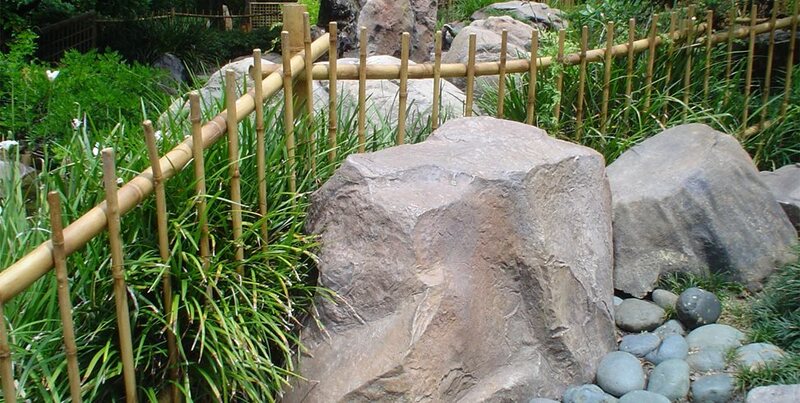 Over the centuries Japanese garden masters created a well defined art of stone arrangement. It is based on five fundamental stone shapes that may be achieved directly, or a stone may be buried or positioned to achieve the shape. Among these primary stones are smaller "helping" stones that may be added to create a more harmonious composition. Knowledge of these fundamentals allows a skilled contractor to see each stone as an element in the design and thereby better understand their relationships to one another. A balanced composition can be created by using all five shapes as its foundation.